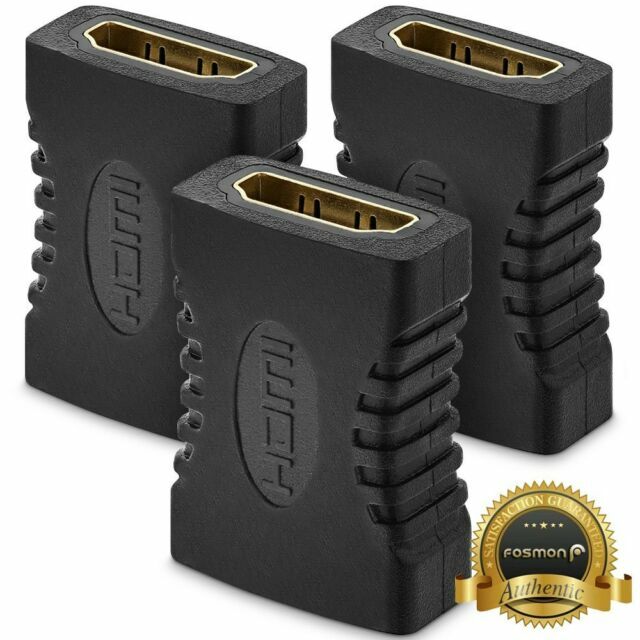 Fosmon’s HDMI female to female adapter provides a cost-efficient and easy solution for converting an HDMI male plug end to a female end. Extend your cables or hot-swap devices. Extend your HDMI cable with Fosmon’s HDMI female to HDMI female adapter by connecting two standard HDMI cables to both ends of the female port.